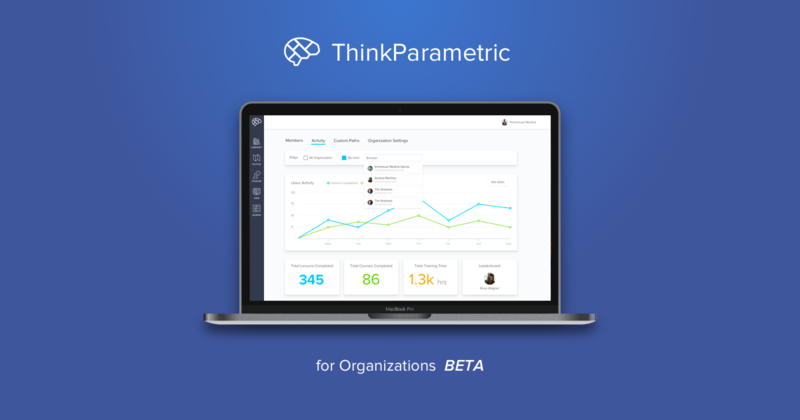 We are happy to announce the first version of our dedicated product for organizations. We have been working on it for a while and finally, we have something we are sure is going to help your team on your training efforts. Whether you’re a team of two or thousands, we will create a custom plan that adapts to your needs. Employees might move on, but knowledge stays. With ThinkParametric for organizations, you make sure that no matter what changes happen within your organization the skills and knowledge remain accessible at all time 24/7 everywhere and from any device. Avoid the hassles and added costs of having to develop your own IT solutions to implement training, we take care of all of that and allow you to focus on what matters. 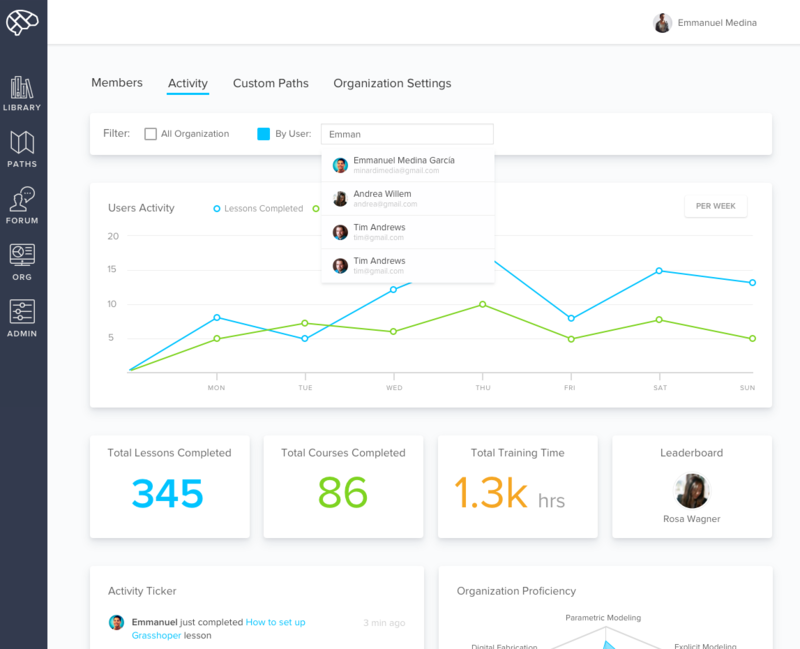 You’ll have the ability to manage your whole organization by adding and removing members and also adding administrators that can help oversee your training initiatives. With your organization’s dashboard, you’ll have the ability to stay on top of everything that happens within your organization. 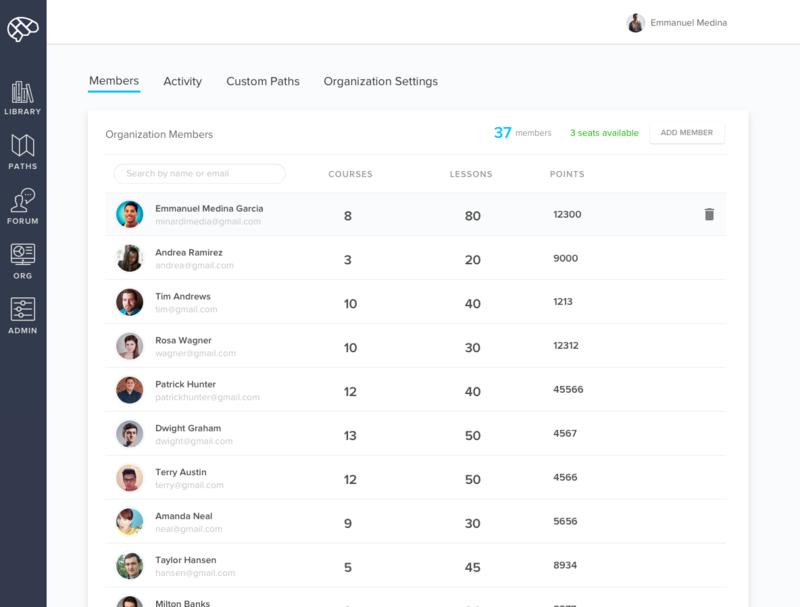 You can track all your members activities and progress either individually or collectively. If you or someone in your organization would like to know a little bit more, don’t hesitate to get in touch by sending an email to hello@thinkaparametric. Please share with us the size of your team and what you are interested in learning.